Construction began in September 2013 on the Davenport Grand Hotel, the fourth hotel in the Davenport Hotel Collection (now affiliated with Marriott). Located in Spokane, WA, directly across the road from the Spokane Convention Center, the hotel was built on land reserved for a future expansion of the convention center. 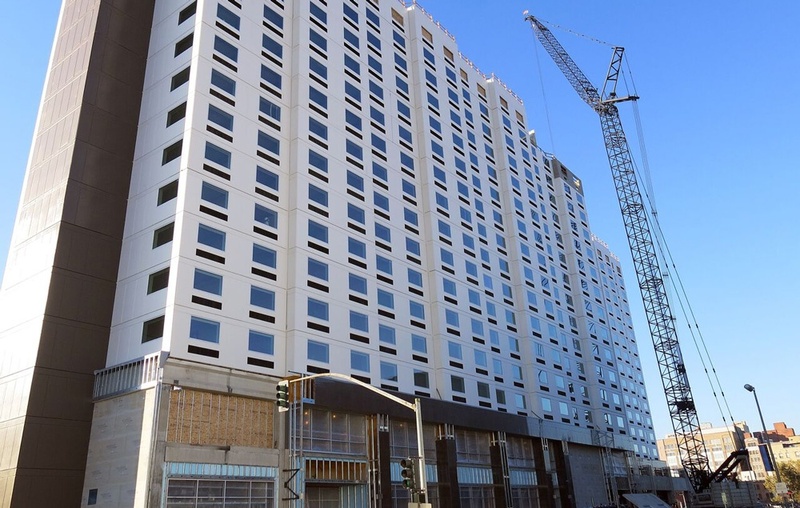 The building envelope of the 17-story high-rise hotel is all-inclusive of precast concrete designed, engineered, produced, and erected by Oldcastle Infrastructure, A CRH Company. Going with an all-precast concrete construction method accelerated the project schedule allowing it to be complete in just 8 months. Precast design and production took 12 months. 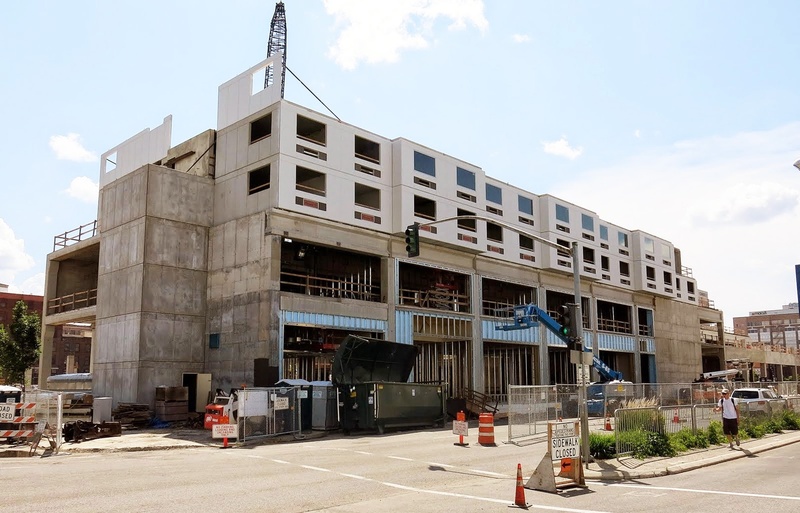 "Everything Fit Together Very Nicely"
The high-rise is composed of 4,524 custom-made precast concrete components which entail 122,130 square feet of hollow-core plank, 398,613 square feet of wall panels (exterior, stair tower, elevator, and demising walls), and 419,346 square feet of floor slabs. CarbonCast High Performance Insulated Wall Panels were used for the precast. “The quality of Oldcastle's product is the best I have ever seen and everything fit together very nicely,” said Walt Worthy, owner of Worthy Enterprises LLC, developer of the Davenport Grand Hotel. Opened in 2015, the hotel features a contemporary theme and targets businessmen and convention travelers. It consists of 716 guest rooms, over 75,000 square feet of meeting space, several lounge and restaurant areas, and a site cast, post-tensioned, 929-stall parking garage. “[We are] proud to be recognized for this complex hotel project, which highlights all-precast concrete building construction. Our talented and dedicated staff is to be commended for producing superior quality products." The award is judged by project-neutral peers and the winners are based on uniqueness, innovation, and overall job excellence.